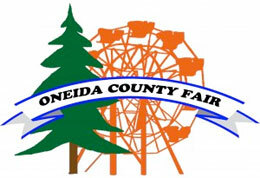 Oneida County Fair Ground hosted the $28,000 Oneida County Futurity for 2-year-olds on Sunday. MALAD CITY, ID�AUGUST 14, 2016�Duck N Dash Go defeated Tackitandrun by a one-length in track record time Sunday afternoon to win the $28,000 Oneida County Futurity at the Oneida County Fair Ground in Malad City, Idaho. Rumpled Britches finished another length back in third. Ridden by jockey Eric Alaya, Duck N Dash Go covered the 300-yard course in :15.050 seconds into a 5 mph crosswind to earn a 111-speed index and set the new track record. The previous record of :15.134 seconds was set August 15, 2010 by Bcr Never Too Late. Conditioned by trainer Monty Arrossa, Duck N Dash Go has won four of five starts this season. The $12,600 winner's purse boosted the bay filly's earnings mark to $15,090. Owner Vicente Treyes paid $18,000 for the daughter of CORONAS FAST DASH at the 2015 Heritage Place September Yearling Sale in Oklahoma City. Bred by Bobby D. Cox, Duck N Dash Go is from the Tour de Kas mare Duck Mea Running. Also a Heritage Place September graduate Tacitandrun races for owner/trainer Fredy Olmos. Bred by Lake and Ledona Newcomb, the Oklahoma-bred sold for $5,500. Ridden by jockey Jesus Virgen, the sorrel gelding earned $5,600 for his effort. Third place finisher Rumpled Britches races for owner Ed McNelis and is from the barn of trainer Monty Arrossa. Jesus Valenzuela rode the filly bred in California by Balgo Racing Team, Inc. Rumpled Britches picked up $2,800. Ivory Cowboy, Nightly Fire, Princess Elsa, Cm Partners In Crime and Thats The Favorite completed the field.